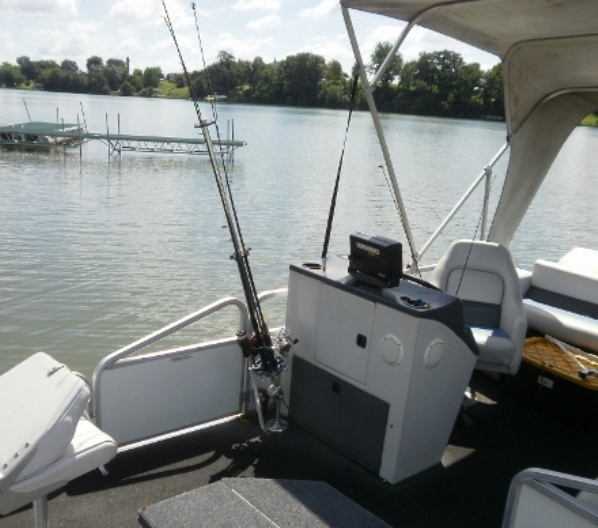 The rod holder can be placed in a variety of locations on your boat.From pontoons to bass boats, this holder will keep your rods off the deck – protecting them! 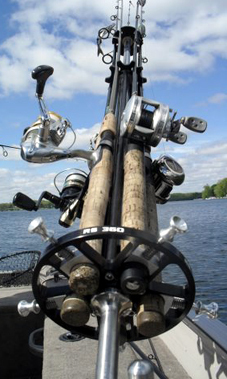 Are you tired of having fishing rods laying all over the deck of your boat? Use the RS 360 to eliminate that problem. Fishing rods can even get tangled in your storage lockers. Solve this by installing our product in the rod locker!!! Organize below deck storage with RS360!!! 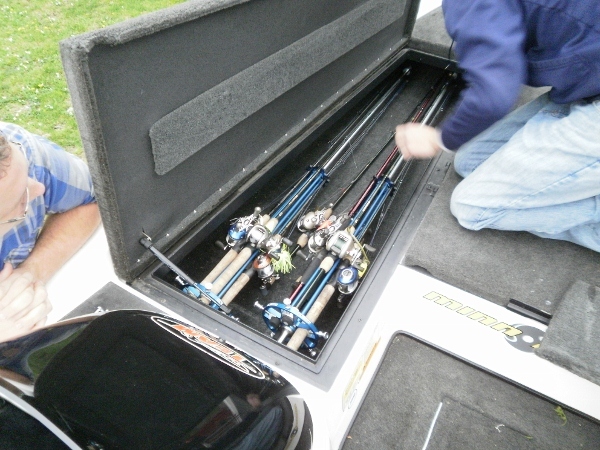 This Skeeter bass boat has large storage lockers, but rods and lines still get tangled. Two side by side RS360’s solve the problem! The rods on the bottom of the wheel are easily accessible by simply rotating the wheel until the rod you want is on the top!